Is Montgomery College President Abusing Sensible Travel Policies? Following several staff complaints, NBCWashington investigated the travel expenses for Dr. DeRionne Pollard, the president of Montgomery College in Rockville, Maryland. In addition to a $280,000 annual salary and $3,000 monthly housing allowance, the school’s Board of Trustees agreed to pay for all work-related travel for the president and her partner. That’s resulted in more than $70,000 for travel to Napa, California, Fort Lauderdale, Florida, and almost 40 other destinations since 2013, an average of 13 trips per year, including $6,000 to upgrade seats, $3,700 for extra and overweight baggage, and stays at the Four Seasons. The college also pays for her $850 for her monthly lease for an Infiniti Q70, plus gas, maintenance, parking, and insurance, plus $10,000 per month for an SUV chauffeured by an off-duty police officer. Why all that travel to promote the school when it’s packed to the gills? Why promote it out of state when it’s a local community college? Why is the college president receiving such luxuries when most of her students are at the other end of the wage scale? Montgomery County provides half of the College’s budget and County Executive Ike Leggett’s response was that he “was not alarmed” by the expenses because there was “transparency” and they were “approved by the board.” The County has recently raised property tax rates to pay for “enhanced services and educational opportunities” but I’m sure this is not what County Council President Nancy Floreen had in mind. Governor Larry Hogan (the Governor appoints the Board of Trustees of Montgomery College): email form or 410-974-3901. Board of Trustees, Montgomery College (they approved these benefits and expenses and adopt travel policies): Trustees@montgomerycollege.edu or 240-567-5272. County Executive Ike Leggett, Montgomery County Council (provides significant funding for the College): ocemail@montgomerycountymd.gov or 240-777-0311 (alas, the customer service hotline, the best available contact number; welcome to Voice Mail Hell). 13 trips a year? $850 for a car?? Where is this community college president living? These expenses are absurd. As a longtime part-time MC instructor, I am appalled that the president is living this high on the hog when MC’s mission is to serve those moving from high school, the military, low-paying jobs, and the like into better-paying, more suitable situations. Anyone familiar with the administrative structure of Montgomery College would not be surprised by the Board of Trustees support for Dr. Pollard. Having bought the previous college president out of his contract for similar allegations, any condemnation of Dr. Pollard would reflect rather poorly on the Board of Trustees. 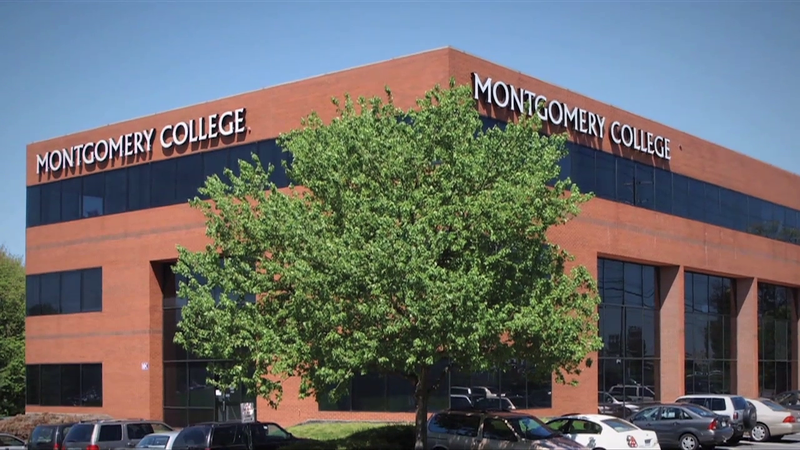 It might be an election year for the nation, and Donald Trump may talk of reform and change, but sadly, some things remain quite the same; much to the dismay of many of MC’s faculty and staff members who have contacted the news media, and as a financial burden and expense to the students of Montgomery College.